Part of a series of exciting and luxurious Flame Tree Notebooks. Combining high-quality production with magnificent fine art, the covers are printed on foil in five colours, embossed then foil stamped. And they're powerfully practical: a pocket at the back for receipts and scraps, two bookmarks and a solid magnetic side flap. These are perfect for personal use and make a dazzling gift. 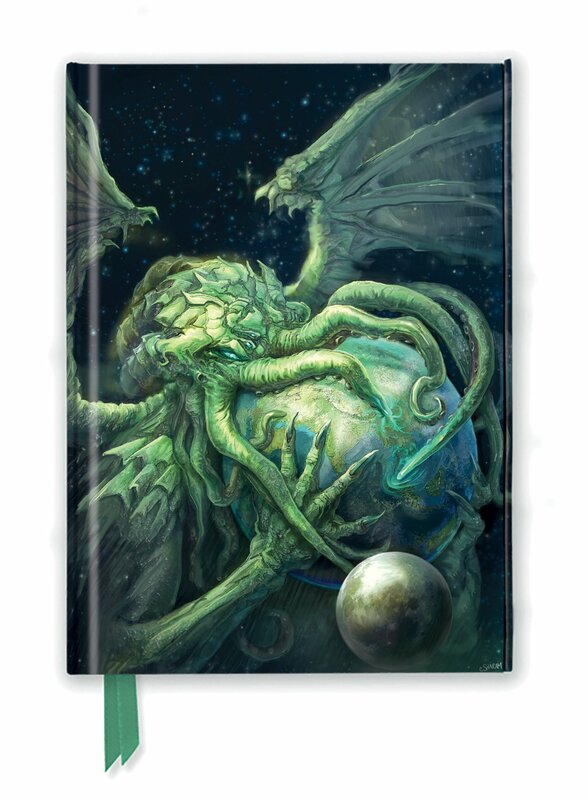 This example features Cthulhu Rising, by Eddie Sharam.